The general idea of a ladder competition is that each player occupies a "rung" on the ladder and players challenge each other to games. If the higher ranked player wins, there's no change in the ladder. If the lower ranked player wins, they move up the ladder to the rung immediately above the defeated player. Since our games can take months to play (especially PBEM games), we'll only take into account the positions of the players at the time the result is reported. There are two types of ladder games: free for all (FFA) and challenges. The AC ladder will be divided into four sections, Elite, Veteran, Green and Very Green. The Very Green section is reserved to beginners. The purpose of this section is to provide a place where unexperienced players can get some games under the belt without being bullied by veterans of the MP. This is a 'closed' section of the ladder and you have to expressly specify you want to be placed in the Very Green section when signing up. All games in this section are free-for-all (see bellow), the results will be entered on a 1v1 basis and the players will be ranked based on their results (wins / losses). Each player will decide when the time has come to change section and go for the real games in the upper sections. If you do not expressly specify you're a Very Green player then you'll be placed in the Green section. All players who have reported at least a loss, but no victories, will be placed in the Veteran section. Veterans and ranked based on their results (wins / losses). Players can improve their Veteran rank playing FFA games. All players who are yet to report a result will remain in the Green section and will be still unranked. To access the Elite section, a player must be 'available for challenge'. All players who have reported a victory in a challenge game, will be ranked in the Elite section. If the victory is over a player who is not in the Elite section, the victor is placed at the bottom of the Elites (the first player to report a win in a challenge will be the first leader of the ladder) otherwise they assume the rung of the defeated player (the looser will be ranked immediately bellow the winner). All players who have reported at least one loss in a challenge game, but no victories, will still be placed in the Veteran section. The rank of the players will be visible on the user profile and the user information section of the postbit. The reigning champion of the ladder will receive a transmittable badge. If i managed to draw your attention, and you're willing to join, bellow are more detailed rules of this ladder system. You can take the time to read it now or after you sign up for the ladder here. Once you have signed up for the ladder, you will receive "The newsletter of the AC ladder" that will keep you up-to-date with everything that is going on in the competition. Once a player has registered at alphacentauri2.info, has SMAC/SMAX installed and is ready to play (PBEM or IP), they should post a message in the admin thread indicating they wish to join the ladder and if they are available or not for challenge. Once this is done, the administrator will add their name to the Green section of the ladder. Challenges are the only way to move up the ladder in the Elite section. Any player may challenge any other player to a game provided they are both available for challenge. Challenges must be accepted if the challenger is immediately below the player challenged or if the player being challenged is not currently involved in any challenge game. If neither of those conditions is met, the challenge may be declined or deferred. Of course, players may play as many challenge games simultaneously as they desire. If the player challenged does not respond to the challenge within seven days, the challenger should post a message to the admin thread announcing the situation. If another seven days pass without a response to the original challenge then the challenged player will be relegated to the Veteran section (provided the player is in Elite, otherwise he can keep his position). If the challenged player returns and accepts the challenge, that player is penalized one ladder position per month of absence from their former position in the ladder. Once the challenge is accepted, the game will be announced in the admin thread by the challenger and the administrator will update the ladder competition table to indicate that each player has a challenge game. As soon as a victory condition is achieved in the game or a player resigns, the game result will be announced in the admin thread by the winning player. The administrator will then update the ladder competition table with the results. In the highly unlikely situation when the AI achieves a victory condition, the human with the higher AC score at the end of the game is declared the victor. The two players will negotiate a setup which is acceptable to both, including the type of game (IP, PBEM or both). If they cannot come to agreement on the setup, then a third party (CMN) will finalize the setup of the game based on both sides options and his own judgement. If they cannot agree on the type of game (IP/PBEM), then the game will have at least one IP session. The starting year and the lenght of this IP session will have to be decided at the begin[person of African ethnicity]of the game in this case. Declaring victory in their ladder game by posting a result message to the admin thread. Posting the most recent saved file to the Abandoned Games folder of our forum, in hopes the withdrawing player will return at some future date. Do nothing and the game is considered void. If the withdrawing player returns then if they were in the Green section when they withdrew, they are restored to the Green section and are encouraged but not required to continue any games posted to the Files section. If they were in the Veteran section when they withdrew, they will be ranked in the Veteran section based on their results (wins / losses) and are encouraged but not required to continue any games posted to the File section. If the withdrawing player returns and they were in the Elite section, they must decide whether or not they are willing to continue any games in the Abandoned Games folder. If they are unwilling to continue any of those games then they will be restored to the ladder at the bottom of the Elite section. If they're willing to continue all of their games in the folder then they will be restored to the Elite section of the ladder at the rung immediately below their relative position when they withdrew. If some of their opponents are unwilling to continue, then those games are considered void. Declaring victory in their challenge game by posting a result message to the admin thread. If the absent player returns then if they were in the Green section when they abandoned the ladder, they are restored to the Green section and are encouraged but not required to continue any games posted to the Files section. If they were in the Veteran section when they abandoned the ladder, they will be ranked in Veteran based on their results (wins / losses) and are encouraged but not required to continue any games posted to the File section. If the absent player returns and they were in the Elite section, they must decide whether or not they are willing to continue any games in the Abandoned Games folder. If they are unwilling to continue any of those games then they will be restored to the ladder at the bottom of the Elite section. If they're willing to continue all of their games then they will be restored to the Elite section of the ladder and penalized one ladder position per month of absence. If some of their opponents are unwilling to continue, then those games are considered void. All the other games excepting challenges are considered FFA. The results of these games are counted for every player stats (wins / losses) as long as they are reported in the admin thread and will be entered as 1vs1 games based on the final powergraph positions and ignoring the results against the AI. FFA games can only improve your Veteran ranking. "Pushing turns" as well as holliday / out-of-town breaks are allowed. 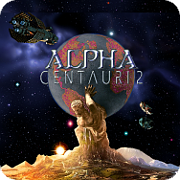 Note: all the results of the ongoing / finished ladder games at the time this competition is launched (TBA) can be entered in the Alpha Centauri Ladder provided the game was a ladder game, the players are registered here and there is a public record of the results. As soon as a victory condition is achieved in the game or all the other human players resign, the game result will be announced in the admin thread by the winning player. The administrator will then update the ladder competition table with the results. Unless stated otherwise in the rules of the FFA game, a player nonresponsive for fourteen days can be replaced, or his faction can be turned to the AI. The nonresponsive player / players will be placed on the last positions in the game in the order they left, regardles of the position the faction finished the game (under the control of the eventual replacement player or AI). The replacement player will receive wins / losses based on the number of positions the player has gained / lost starting from the moment he joined the game. FFA games can include one or more challenges provided each player is involved in only one challenge per FFA game. I wanted to give my opinion on the ladder system. First, I think it has some strong points: People may challenge each others and you don't have to play lots of games to be upper in rank. The challenge option would have been viable in my opinion if we were a big community. Still, there's an aspect that can be more disturbing. Personally I wouldn't have so much fun being obliged to play or loosing my status as a player. I know sometimes probably I will have too much to do for my studies or my job, or my projects, and I will be obliged to loose my status Elite and all the hard earned progress, just because I would prefer not taking another game. Also, being challenged my a lower player would mean you can only loose something if you play the game, in the best you will keep your position. There are not so much players and maybe some would get discouraged to regain their place rather than staying in the ladder longer by being obliged. In study in little childhood at the university, and for an activity to be fun, we speak about letting the children (or the person) choose what he wants instead of putting a pressure, which can remove the fun. I think it's the same for gaming: being obliged does not makes a player play more, instead the pressure might make him drop. Maybe we could have ladder score with the win or looses and another score for the Veterans map, which may allow some players to replace the ones who left without being sure of getting a loss. Maybe more people would be interested to join if there is no pressure for starting new games, as we know alpha centauri games may take lots of time and require lots of organization in life to be disciplined enough to send the turns on a regular basis even if there are other life obligations. I think also of my other games on the WPC ladder system on weplayciv. It could be hard being always available if the two other games come to take more of my time, or if I want to join a game that is only on the other ladder. Also you said:"If the absent player returns and they were in the Elite section, they must decide whether or not they are willing to continue any games in the Abandoned Games folder. " Also, perhaps we could agree some specific settings at the beginning of the games and not set one predefinite for all games, speaking on the time. Lots of things are going on in my life now and I would fine it sad to waste a game I'm playing as there is a limit of 14 days to send the turn, which would make a huge pressure on trying to do the work in time for my studies and playing the turn in time. Maybe the time or the turn rate would be a setting to determine and agree at the beginning of each games (including non ladder maybe). Think of the chess games on yahoo, there are lots of settings available for time: Blitz games or game that has no limits. I think it should depend on the situation, and on the desire of both(or all) players. This could be a setting just as "Random events ON or OFF" to set for example. I'm thinking of my 3vs3 game that will occur with Monty: 3 factions to play would take much more time too, and the time we spoke before depended on our agreement. Maybe we could put a section ''Available for being challenged''? or for challenges? AND a level indicated by the results of the Glicko 2 system for these challenges (making the games played with lower player in ranking still profitable for the player with the highest score as he/she would gain some points, even less and not just saving his position in the ladder... AND the normal games won and losses, as the wins achieved in the FFA or the normal game's duels. Maybe also a very green duel or FFA rating? The possibility to erase the score and reput it to 0 could be also fun, as in other internet gaming competition systems... but i'm wandering far. -------I suggest also to put big characters and try to be more concise on the ladder description, like putting bigger titles to be more attracting and easier to read. If you really want to go further, if I can permit myself, maybe trying to be the more concise and simple possible would allow more new players to read and not be discouraged by the big page of text (just for the ladder). Anyhow those would be my hopes for a ladder system. But thank you for everything and setting up all this great site by yourself. IDEA JUST LIKE THIS: One normal game loss only= player has a ''Disciplined'' rank, one normal game win, a ''Hardened'' rank, 5 normal game wins, or a any score entered with the Glicko2 system a ''Veteran'' score. 15 normal game wins or another higher specific score(not so high) would bring to ''Commando'' rating, and the Elite rating could only be accessed by the Glicko2 and challenges which would be a little higher than the commando one. It would be much easier accessing to the Commando rating with Glicko2 score than accessing it by normal games(like winning one ladder challenge game). Anywhow these are just ideas I would thougt would be fun. Of course the very green section for newbies closed to higher player in rank would be effective. The ranks could be more exploited this way. Still, there's an aspect that can be more disturbing. Personally I wouldn't have so much fun being obliged to play or loosing my status as a player. I know sometimes probably I will have too much to do for my studies or my job, or my projects, and I will be obliged to loose my status Elite and all the hard earned progress, just because I would prefer not taking another game. considering the rules above, the number of games you have to take won't be that high. i'm talking about 1-2 games most of the time. let's say you're the champion and you have already one game going on because you have accepted a challenged from a lower ranked player - not the #2 in the ladder - wich of course, you can decline. at this moment, you are only obliged to play only with the #2 in the raks and that's if he's willing to challenge you. that makes 2 games at the same time. so, if the turn rate of your games is slow, and the turn rate of the #2 player is high, then, and only then, you can find yourself obliged to take on multiple challenges from the players in the #2 rank. IMO 2 games, or 3 (for really slow players) games at a time is not that much for a player. Also, being challenged my a lower player would mean you can only loose something if you play the game, in the best you will keep your position. i guess you have to prove you're still the best..
here are not so much players and maybe some would get discouraged to regain their place rather than staying in the ladder longer by being obliged. if they are no longer available for challenges, they will still be veterans and ranked as such. we can have also an alternative ranking system, in parallel (like Glicko2 - but you have to give more details, examples, etc), but the only ladder that seems fair to me is the challege system, so this is the one that should crown our champion. oh, he will get 6 losses. the results will not be entered only if the opponent considers he does not deserve the win and decides not to declare victory. Also, perhaps we could agree some specific settings at the beginning of the games and not set one predefinite for all games, speaking on the time. Lots of things are going on in my life now and I would fine it sad to waste a game I'm playing as there is a limit of 14 days to send the turn, which would make a huge pressure on trying to do the work in time for my studies and playing the turn in time. the 14 days limit only applies for non-responsive players. even if you're you can always take a minute to post in the turn tracking thread and let your opponent know you need more time. ideed, it will be. the desired turn rate will be agreed upon, at the beginning of the game, and also the measures to be taken if a player is repeatedly delaying the turn rate. -I suggest also to put big characters and try to be more concise on the ladder description, like putting bigger titles to be more attracting and easier to read. If you really want to go further, if I can permit myself, maybe trying to be the more concise and simple possible would allow more new players to read and not be discouraged by the big page of text (just for the ladder). noted. i'll try to do something about it but it really hard to simplify without losing something important. maybe i can draft a bigger overview section with a link to the detailed rules. i'm open to any suggestions in this regard. Page created in 1.56 seconds with 38 queries.